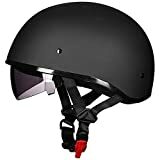 If you are going to ride on the scooter for the first time, then you should know the basic tricks for beginners. After that, you can practice some easier tricks and stunts. We will describe here some cool scooter tricks and moves. If you are the very beginner, you have to learn how to place your foot on the scooter, how to hold it and start riding. Scooting is not a childish work to do. You may face an accident at any time. So, you need to be very serious and start with a good preparation. You don’t need to be a professional to show some cool tricks with your scooter. Once you learn to stance down properly, you can try the next level scooter tricks flat scooter. We are proving the scooting tutorials from beginner level to hard level. Choose a suitable scooter according to your age, height, and weight. Make sure that it’s strong enough to sustain on tough stunts. Must wear a good quality helmet to protect your head from injury. At the preliminary learning stage, it’s better to use sports shoe or sneakers. Using knee pads and elbow pads can save you from permanent injury on knees and elbows. Choose a free place where you can practice comfortably and have less risk of casualty. Step 1: place your foot on the deck of the scooter. You have to put your dominant foot (left or right) at the edge of the deck so that it is in a 45-degree angle with the edge of the deck. Step 2: Place your another foot on the deck in front of the dominant foot such that both the feet touch each other. The second foot will be parallel with the edge of the scooter. Step 3: Hold the handlebar grips firmly with the fingers of your both hands. Step 4: Now kick off with the dominant foot (placed in the backside) to propel the scooter to move forward. When it’s moving, you can keep your feet back to the same position. Now you know how to make your scooter run! You should practice a lot to have good control over your scooter while running. You should not push off too hard at the very beginning. It will be easier for you to learn the next tricks while going a little slower. The bunny hop is the technique to fly your scooter in the air with the two hives. You must practice it in the free area. Step 1: Push the scooter to keep it moving. It should move a little slower. Step 2: Bend your knees slightly and push up your scooter with legs such as you are jumping up. Step 3: Your feet must be placed on the deck. Step4: Pull the handles up with your hands so that the front wheel of the scooter lifts up about 3 meters off the ground. Step 5: Now push up to let the back wheel lift up the same height off the ground. Step 6: While you drop back on the ground, both wheels must touch the ground at the same time. Keep moving forward with both feet placed on the scooter deck. Fakie is an important step that you will need for hard stunts. It’s the technique of moving your scooter in the backward direction. Step 1: Roll your scooter slightly up a pipe or ramp. Step 2: allow the gravity to take over making your scooter to roll backward. This technique seems to be difficult but it’s simple and will be easier with practice. You will have fun once you learn it. Step 1: Pull the handlebars of the scooter up while you are riding. Step 2: Maintain the balance of the scooter on one wheel. It’s the trick applied for changing direction 180 degree or more while riding. So it’s an important trick that you should learn. Step 1: Start moving at medium speed. Step 2: Grab the handlebars tightly, lift the front wheel and turn as much you need. Step 3: After turning, lift the back hive up and revolve towards proper direction. Step 1: Make your left hand free from holding the handlebar and keep it close to the handlebar so that you can grab the bar again. Step 2: Lift the front wheel up and spin the right handlebar 180 degrees clockwise with the right hand. Step 3: Grab the handlebars at the right time with left hand under right hand. Step 4: Now repeat the same process by releasing the right hand and spinning the handlebars 180 degrees with the left hand. Step 5: This time grab the bars with the right hand and put both hands on the original positions. Here are some scooter tricks that you can practice at the advanced level. Step 1: Do a bunny hop and fly in the air as long as you can so that you get enough time to complete the stunt. Step 2: Release one of your hands from the handlebar. It’s better if you take of the non-dominant hand. Step 3: Keep your released arm stretched and parallel to the ground until you lose can carry on. If you feel like losing balance, grab back the handle. Step 4: While landing, grab back both the handlebars with your both hands. Practice again and again. This trick almost similar to a regular jump, but the rider releases both hands from the handlebar while in the air. So, it’s one of the risky tricks. You can do it following the one handler technique just by releasing both hands. But more carefully. You can do this trick in two ways. If you have placed the left leg in front, then you can spin clockwise and if your right leg is at front of the deck, you can rotate anti-clockwise. Step 1: First, you need to do bunny hop at a good height so that you get enough time to do this trick. Step 2: Keep the front foot on the deck and kick it around while holding the handlebar with hands. Step 3: Use only wrist and forearms to rotate the scooter keeping it close to you, try not to use the shoulder or the whole body. We have tried to discuss the scooter tricks for beginners. But we will suggest you not to hurry in learning scooting. Try to take help of an expert or experienced rider to supervise, if possible. Practice with full concentration at a free and safe area. Hope you will be a good scooter rider soon!